Gateway news and photos. This section includes racing news from both Gateway Motorsports Park as well as the Gateway Dirt Nationals. View St. Louis area racing news headlines and auto Saint Louis automotive coverage here. 2016 Gateway Dirt Nationals Qualifying results from Thursday are posted below. These dirt late model results are from Thursday December 15th, 2016. Darrell Lanigan tops the time sheets. He leads 86 drivers at the Gateway Dirt Nationals in St.
Take a look at the 2016 Gateway Dirt Nationals pit stalls ahead of the event. Today, dirt racing invades The Dome at America’s Center. Last night teams from all across the country began rolling into the stadium. Gateway Dirt track photos are posted below. Meet the brand new temporary dirt track hosting the Gateway Dirt Nationals at The Dome in St. Louis, MO. You wanna know what you’re going to see this weekend? Some of the very first Gateway Dirt photos are posted below. I was at the Edwards Jones Dome all day today as the staff puts the final prep work into the racing surface. This weekend, will probably be the biggest dirt track race of the year. The Gateway Dirt track is nearly ready for the huge weekend of racing ahead. View the videos below as the Gateway Dirt Nationals staff puts the final touches on the dirt track at The Dome. Event promoter Cody Summer offered an update on the progress and the event. Apparently, some racing fans are confused. Gateway Motorsports Park has received many calls about the nearby Gateway Dirt Nationals. The GMP staff has issued a statement informing fans they are not in anyway affiliated with the dirt racing hosted at the Dome. Indycar coming to St. Louis in the 2017 season. Gateway Motorsports Park will usher in a new era in 2017 with the Verizon Indycar Series event. August 25, 2016, St. Louis Region – Officials from Gateway Motorsports Park and INDYCAR have announced that a race date has been awarded to St.
View the 2017 Indycar schedule posted posted below. The 2017 Verizon Indycar Series schedule features a few new stops on the racing circuit. NASCAR penalized drivers John Wes Townley and Spencer Gallagher on Wednesday for their roles in an incident in Saturday night’s Camping World Truck Series race at Gateway Motorsports Park. The potential penalty phase for Saturday night’s NASCAR Truck drivers fight between Spencer Gallagher and John Wes Townley is scheduled this week, with NASCAR Executive Vice President and Chief Racing Development Officer Steve O’Donnell saying that repercussions were likely. Click here to watch the video of the fight at Gateway Motorsports Park. And we have a fight! 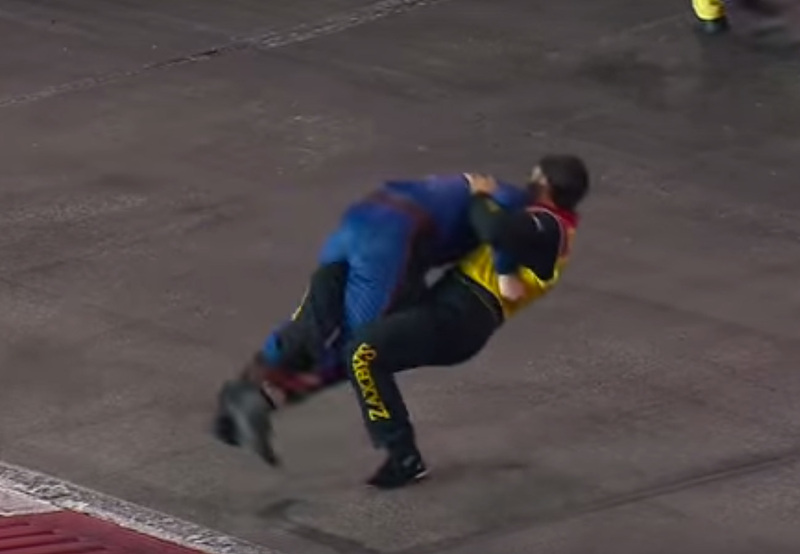 The John Wes Townley vs Spencer Gallagher fight took place last night at Gateway Motorsports Park. The two NASCAR drivers argued over lane space in the NASCAR Camping World Truck Series.